Ideal Factory Innovations and Games is running a Kickstarter campaign for their new party card game, What da Blank. 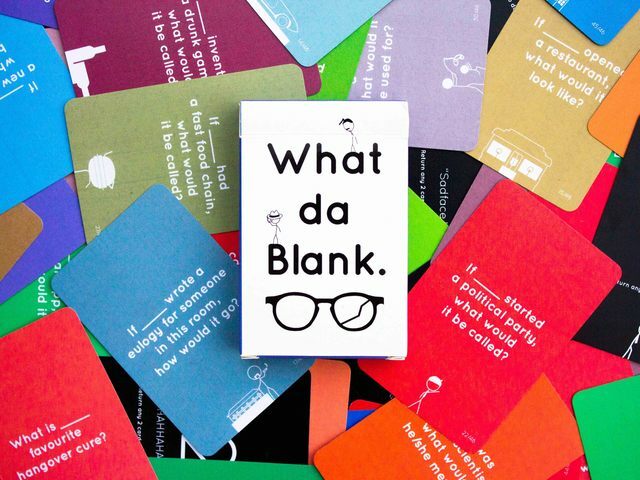 What Da Blank is a question-based card game where you and your friends are put in messed up situations and you get to come up with the best or worst answers or stories to make your friends laugh their butts off! It's really a game for friends to have laughter-filled, honest, friendship-insulting fun! Each Deck consists of 46 Question Cards and 8 "Minus" Cards which gives us a total of 54 Cards per deck!